American Top Team is one of the more well-known Mixed Martial Arts (MMA) teams. Behind them are over 20 training facilities in Florida, Georgia, Texas, Kansas and South Carolina. Location hours are 9:00 am – 9:00 pm on weekdays and 9:00 am – 1:00 pm on Saturdays. All locations are closed on Sundays. Facilities offer a wide-range of programs: Jujitsu, Muay Thai, Mixed Martial Arts (MMA), wrestling and boxing. 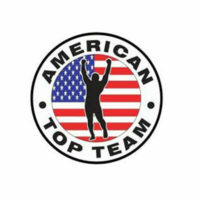 American Top Team or ATT was a product of the collaboration between Dan Lambert, Ricardo Liborio, Marcus and Marcelo Silveira. The last three were former members of the Brazilian Top Team. Together they built and grew ATT from a small crew in Coconut Creek, Florida to a 40,000-sq. ft. headquarters with over 20 franchises and affiliations. ATT trained some of the most notorious MMA fighters that gave them the title, MMA Super camp. Aside from MMA, American Top Team offers regular fitness programs, adults and kids Jiujitsu, grappling and kickboxing. These programs aim to develop fitness levels, teach basic to advance skills and cultivate values of self-control and respect. With ATT, members are trained by professional athletes that have abundant knowledge and experience in their fields. Members are given intensive workouts within a safe and secure environment. Training programs are custom-fitted to one’s fitness levels. Even members without any experience can try any of the programs and participate in basic level training. Advanced classes are also available for those looking for further enhance their skillset. Private coaching is available at American Top Team as well. To avail, members need to approach their center’s office and request for rates and other pertinent details. The cost of private coaching varies depending on the length and intensity of the program agreed upon by the trainer and the member. Largely, ATT gets the highest marks on the quality of service given in their centers. This is primarily due to instruction clients receive from known athletes, who are not only skilled but also remain patient and highly motivated. Instructors show the same dedication and enthusiasm to both basic learners and advanced athletes. Learning paces are adjusted to suit member fitness levels. The availability of youth-oriented classes instill values of self-confidence, respect and team work which are also essential outside of the training center. Kids are given exposure to the positive influence of sports. Aside from their instructors, American Top Team locations have well maintained equipment for members use. Availability of separate male and female showers and locker rooms are a plus. American Top Team rates are categorized into short-term and long-term memberships. Short term memberships can be as short as a day-long drop in to monthly availment. Long- term membership rates are unpublished and need to be coordinated with the location. Memberships include unlimited access to all classes such as weights, cardio machines and fitness classes. Youth and adult programs of Jujitsu, Muai Thai, Mixed Martial Arts (MMA), grappling and boxing are available. Interested members need to coordinate directly with the club management for participation fees and other details. American Top Team offers a one-week trial available for only $10. The trial fee includes a free t-shirt and access to all classes offered in the location. The free trial is limited to town locals and first-time visitors only. Members can recommend for relations to avail of the service but still requires for the fee to be paid. All American Top Team locations have world-class equipment. Each location has wide-mat spaces, weight-lifting areas, cardiovascular machines and dry saunas. There are separate shower and locker rooms for men and women. For specialized programs, ATT have octagon cages, Muay Thai bags and plyometric equipment. They also have room for specifically for youth, after-school activities. All facilities are any time of the day and members can freely participate in scheduled group classes. Private sessions are also available for a fee. All coaches have extensive experience in their respective fields, focused and dedicated for your skill advancement. ATT offers 3 or 5-day training camps focused on body conditioning, self-defense and other mixed martial arts classes. Participants are trained by world class champions to improve their skills and ground game. For more information on American Top Team membership and cost, visit official site .